You DO NOT need to have an actual PayPal account in order to use PayPal as a gateway to donate money—you can just use your credit card. 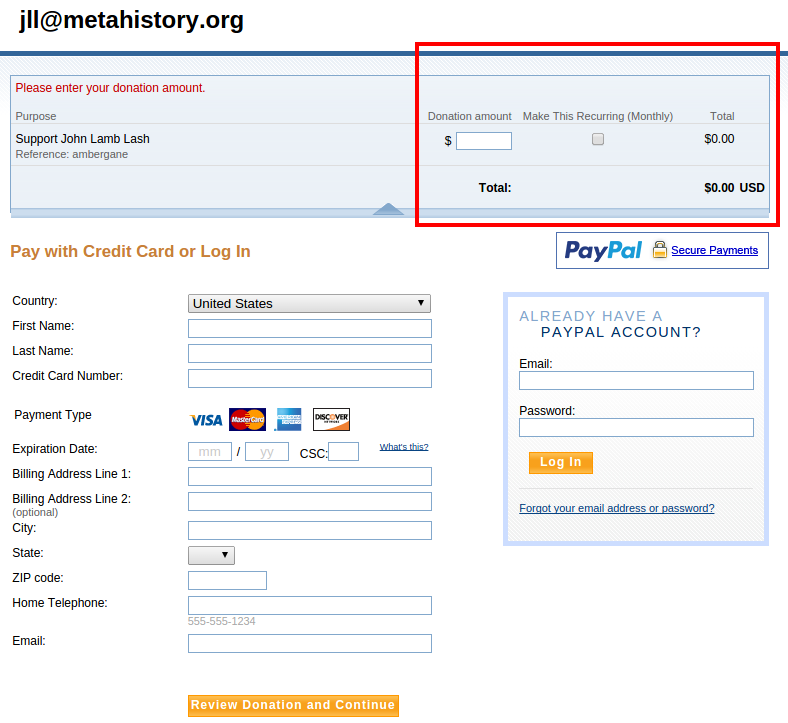 Please DO NOT use recurring donation option because, unfortunately, it doesn’t work. Other available options for making donations are via wire transfer or checks. Please contact me for that kind of arrangements. You can provide the amount that you want to donate at the top-right corner of the page (marked in the screenshot above). 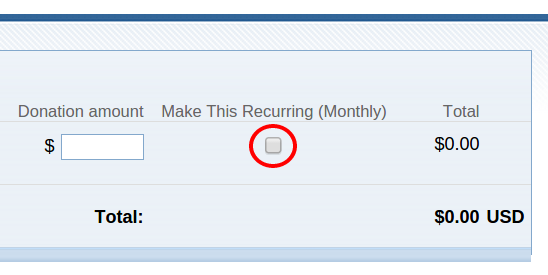 Please DO NOT check the box beneath Make This Recurring (Monthly)—it is marked at the screenshot below—because, unfortunately, it doesn’t work. After you define donation amount you should provide Credit Card or PayPal login data and click Review Donation and Continue or Log In button. After that, you will be able to review and then finally confirm your donation. Last but not the least, it is good to know that PayPal takes certain amount and percentage from total sum of your donation for their service: It’s mostly 2.9% + $0.30 per transaction and even less if you sell more they say, e.g., if you donate $100, I will personally receive mostly $96.80. Go back to Donate page.